The Southland was targeted by yet another storm Wednesday, with light showers dousing the area in the morning ahead of heavier rainfall forecast for late Wednesday evening into Thursday, strengthened by an atmospheric river suffused with moisture. Scattered showers will begin increasing in intensity as the day rolls on, according to National Weather Service meteorologist Kathy Hoxsie. — shallow mud and debris flows with some damage possible. 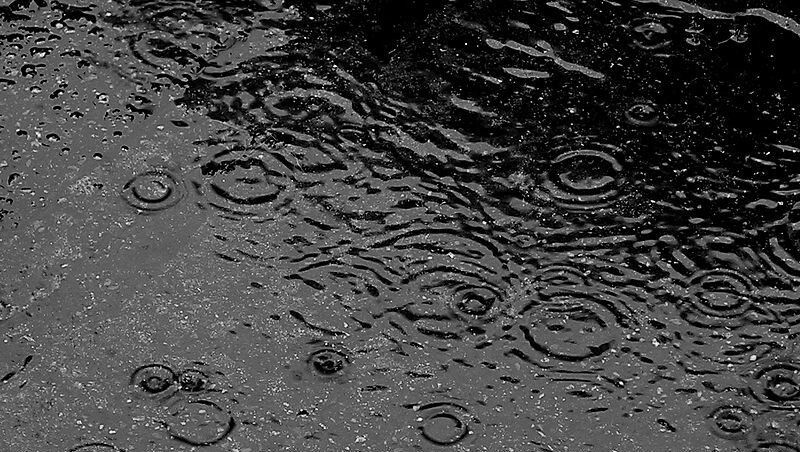 The peak rainfall period in Los Angeles County is expected to be from 5 a.m. to 1 p.m. Thursday. Santa Monica tide predictions of “near seven feet” are expected on Friday and Saturday mornings, forecasters said. Between 1.5 to 2 inches of rain was forecast for the Malibu area, enough to cause mud or debris flows, Hoxsie said. The rain, however, is expected to fall over a longer period of time Wednesday, slightly reducing the chances of mud or debris flows, she said. — Paradise Cove Mobile Home Park and Restaurant. County officials said 225 homes were affected by the orders, but other residents should prepare supplies and be ready to evacuate when ordered. “Authorities warn that all residents who live in or near the Woolsey Fire burn area should remain aware of their surroundings and weather conditions during these storms. Even small amounts of rainfall rates may result in significant mud and debris flow, so we strongly encourage residents who live in or near Woolsey Fire burn areas to be ready to evacuate at a moment’s notice,” Los Angeles County Sheriff’s Capt. Darren Harris said in a statement. An estimated 500 homes in the Creek Fire burn area — including Kagel, Little Tujunga and Lopez canyons — were warned to be prepared to evacuate. Officials said some homeowners whose properties are in particular peril have been alerted and should not wait until a mandatory evacuation order is issued to leave the area. As of 3 a.m. Wednesday, no mandatory evacuations were ordered for the Creek Fire burn area, according to the sheriff’s department. Supervisor Kathryn Barger told residents who might be worried about looting and hesitant to leave that patrols were already in place in both the Woolsey and Creek fire burn areas. Evacuation centers were open to serve residents from the Woolsey Fire area at Agoura Hills/Calabasas Community Center, 27040 Malibu Hills Road, Agoura; and Santa Monica High School-South Gym, 601 Pico Blvd. For more information, contact the American Red Cross at (800) RED CROSS. Anyone who feels unsafe should call 911. All Santa Monica-Malibu Unified School District schools in Malibu will be closed Wednesday. The schools are Juan Cabrillo Elementary School, Point Dume Marine Science School, Webster Elementary School and Malibu Middle/High School. The district’s preschool in Malibu and the Boys & Girls Club of Malibu also will be closed, the district says. If a mandatory evacuation order is issued for Kagel, Little Tujunga and Lopez canyons, an evacuation center will be opened in Sylmar. Updated information is available at www.lacounty.gov/larain. Evacuation centers for large animals were opened at Pierce College, 6201 Winnetka Ave., in Woodland Hills; and the Hansen Dam Equestrian Center, 11127 Orcas Ave., in Lakeview Terrace. Small animals, including those with special medical needs, are being accepted at every county-operated animal shelter, as well as the animal safe trailer at 27040 Malibu Hills Road in Agoura. Snow levels in the mountains are predicted above 6500 feet, likely not affecting the Grapevine, Hoxsie said. In Orange County, scattered light showers are expected Wednesday afternoon, with heavier rainfall late Wednesday, NWS meteorologist Jimmy Taeger said. Thursday will bring the heaviest rain before giving way to drier conditions on Friday. A flash flood watch remains in effect through Thursday afternoon, according to the NWS. A strong storm cell moved through Orange County Wednesday night, dramatically increasing the amount of rainfall in the region. Roughly 1 1/2 inches of rain fell in parts of Fullerton, Yorba Linda, Anaheim Hills, and 2 inches of rain or more fell in Garden Grove, parts of Anaheim and Huntington Beach, while 3.5 inches of rain was reported in Seal Beach, according to the NWS. Flooding impacted a mobile home park in Huntington Beach, with water rising to the doorways of some homes. Pacific Coast Highway was closed about 9 p.m. Tuesday in both directions between Warner Avenue and Seapoint Street in Huntington Beach, but was reopened again by about 2:30 p.m. Wednesday, said Caltrans spokeswoman Van Nguyen. The rain created hazardous conditions on roadways. Just after 11:15 a.m. Wednesday, a woman lost control of a Volkswagen Jetta and slid down a ravine in San Clemente at Camino del Rio and Avenida La Pata. The woman was taken by an Orange County Fire Authority helicopter to a hospital with non-life threatening injuries, said Carrie Braun of the Orange County Sheriff’s Department. In Laguna Beach, a driver slammed a car into a power pole on Laguna Canyon Road at El Toro Road at 10:10 a.m., said Laguna Beach police Sgt. Jim Cota. Downed power lines forced the closure of Laguna Canyon Road for about two hours.